The bayou means all sorts of things, especially in popular music. CCR did “Born on the Bayou”, although I doubt they had ever been to an actual bayou. Even in the city of New Orleans a bayou can mean several things. Many times “the Bayou” refers to the entire rural watery region south and west of New Orleans. But a bayou is a body of water that looks like a canal but is actually naturally occuring. I know from Tootie’s class at UNO back in the eighties that counterintuitively, the highest land is usually along these bayous, along what is called a natural levee. 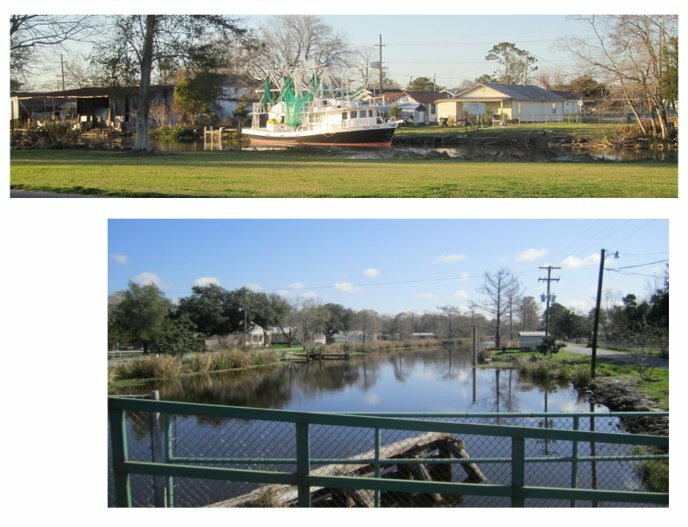 So people built their houses along these bayous, and used the bayou for transportation as well. 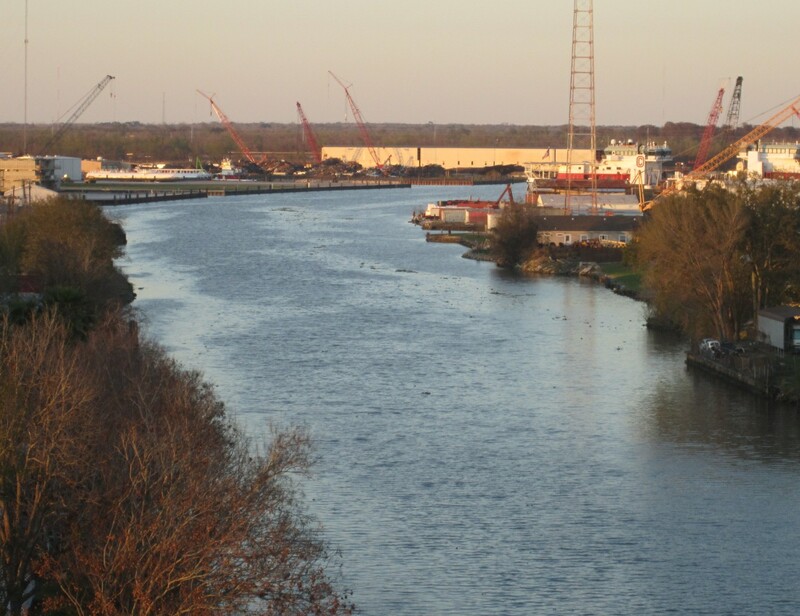 With the development of highways, they built roads along the bayou, usually on both sides. On several of these routes in south Louisiana, if you take the less travelled side of the bayou, it makes for a very nice bike ride. 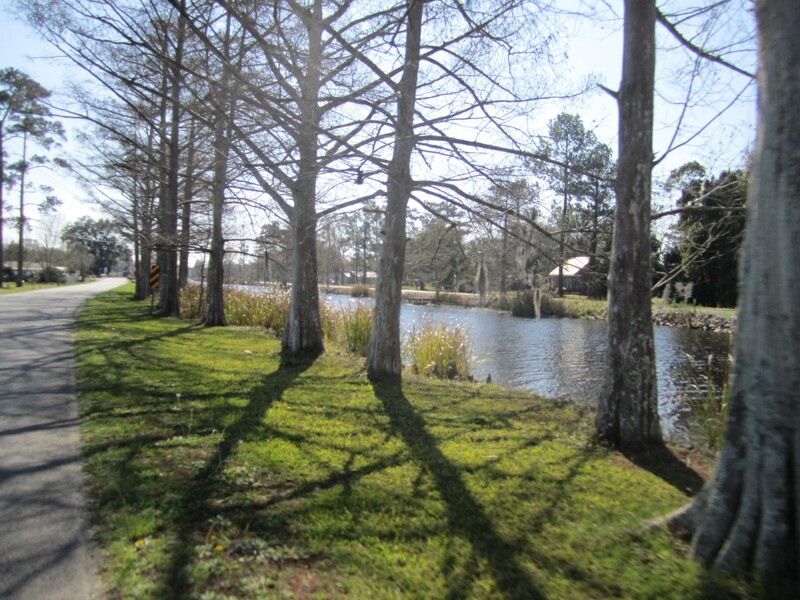 For example, the 22 mile stretch along Bayou Black from Gibson to Houma is great cycling, especially on the north side. These bayous look like tiny rivers, but evidently are rather deep, as in some areas you see rather large vessels on them, especially nearer to Gulf access. This area is home of the Cajuns, the people with a rural French speaking culture. I did not hear any actual French on my two day ride, but again, I did not talk to that many people either. If had had gone further west of Houma / Thibodaux nearer to Lafayette the Cajun culture is supposed to be stronger. The people of Houma / Thibodaux do seem to have a strong culture of pickup trucks. Large American ones. I would speculate that many times they were up to half the vehicles on the road. 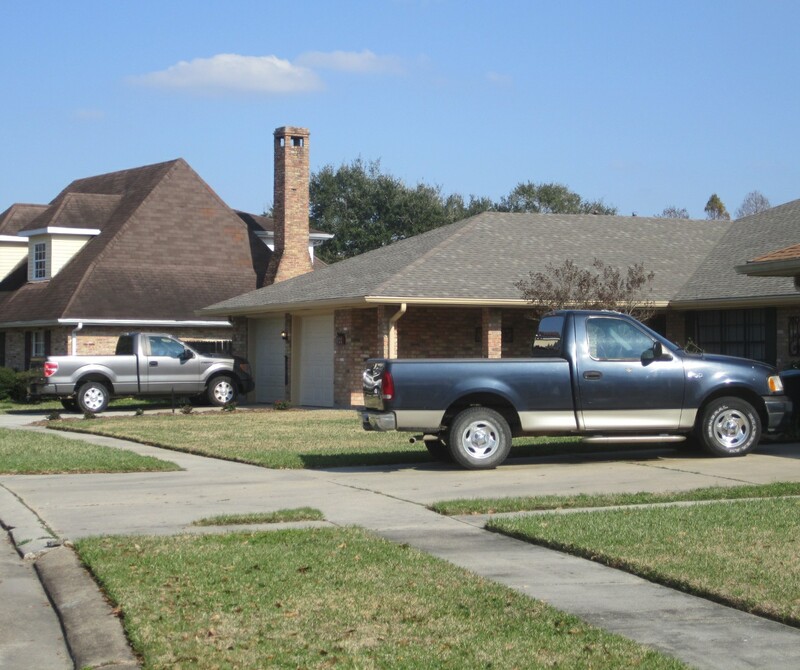 While the town of Thibodaux seems quaint, Houma is much more robust. In many ways it is a small Houston, with oil drilling, supply boat, and helicopter companies spread out on the flat watery land. It is the launching point out to the Gulf for the oil rigs. In just two days I was just scratching the surface of this area. There is a whole lot more bike riding to do here. I wish it was not so far away. Thanks Paco, for teaching me what a bayou is. I, of course, never knew that it was a natural waterway and deep enough for some of these vessels. The trucks are probably a result of the oil rig culture. Interesting place and the bike riding looks like it could be a lot of fun.